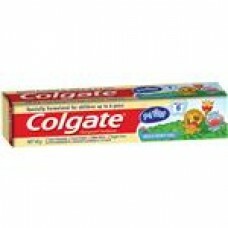 My First Colgate Toothpaste is formulated to meet the special toothpaste needs of infants and toddlers. My First Colgate contains less fluoride (400 ppm) to reflect National Health and Medical Research Council fluoride recommendations. It is recommended for use by children aged 1 to 6 years. As adult toothpastes can be too strong for young mouths, Colgate has reduced the level of flavouring and foaming agents in My First Colgate. 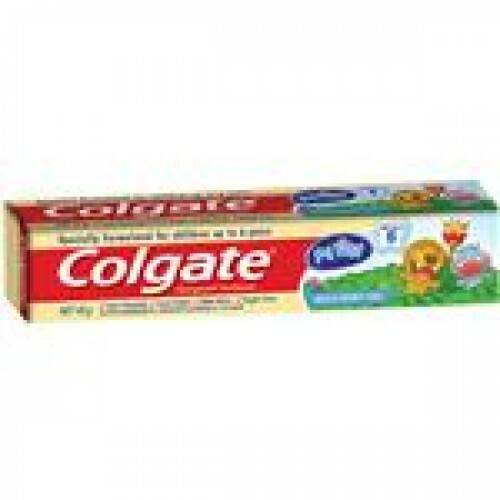 Daily toothpaste for infants and toddlers 1-6years of age, to aid in prevention of dental caries. Use a pea sized amount to brush teeth thoroughly twice daily, rinse following brushing .Adult supervision is advised.